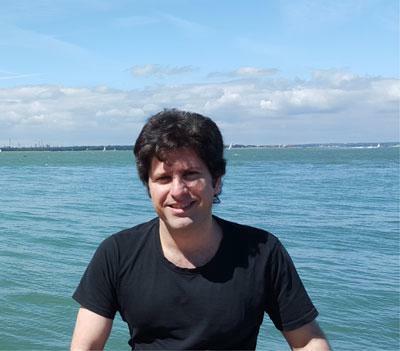 Dr Ramin Okhrati is a Lecturer in Financial Mathematics within Mathematical Sciences at the University of Southampton. I have a range of interests in Stochastic Analysis and Mathematical Finance. In particular, I am interested in applying stochastic processes and risk measures in credit risk modelling. Okhrati, R. (2014). Short credit spreads under different types of filtration expansions. Preprint, 1-29. Okhrati, R. (2007). “A Risk Model with Multilayer Dividend Strategy,” Hansjörg Albrecher and Jürgen Hartinger, April 2007. North Amerian Actuarial Journal, 11(4), 138-141. Okhrati, R. (2017). Hedging of defaultable securities under delayed data. Paper presented at 21st International Congress on Insurance: Mathematics and Economics, Vienna, Austria. Okhrati, R., & Acciaio, B. (2014). Convergence of truncated stochastic algorithms with an extra control. Paper presented at International Conference on Applied Mathematical Optimization and Modelling, . Okhrati, R., & Schmock, U. (2014). Ito's formula for finite variation Lévy processes: the case of non-smooth functions. Paper presented at 11th German Probability and Statistics Days 2014, Germany. Okhrati, R., Balbas, A., & Garrido, J. (2012). Integration measures for fixed income markets: application in credit risk spread. One-Day Workshop on Portfolio Risk Management, Germany. Okhrati, R. (2012). Short credit spreads under different types of filtration expansions. Paper presented at Bachelier Finance Society 7th World Congress, Australia. Okhrati, R. (2016). Desirable portfolios in fixed income markets: Application to credit risk premiums. (pp. 1-26). University of Southampton.